"From a technical standpoint, yes, the PC is a headache," Hines told Joystiq. "It just is - a million different possibilities of hardware, drivers, etc. "As you saw with Rage, all it takes is some bad video card drivers and years of hard work comes off as 'buggy', when in fact it's a really solid, stable game." The other problem when developing for PC, Hines said, is piracy. "Unless you decide not to make your games available for PC, it's a problem, and you have to deal with it," Hines remarked. Bethesda will deal with it not by using "Draconian measures", but by handing extra power to the PC audience. "We do the best we can to protect it without resorting to Draconian measures," Hines went on, "and we continue to enthusiastically support our PC fans with things like the Creation Kit and the ability to create and add unlimited amounts of mods and content to your existing PC game." 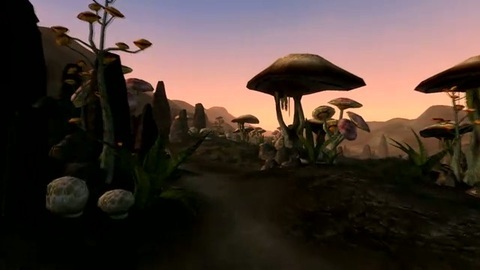 Skyrim's predecessors, Oblivion and Morrowind, were both heavily modified by the PC crowd. The core experience of Skyrim will be "the same on all platforms". Owners of expensive gaming PCs will be able to tweak graphics for better performance, but Skyrim will remain, for the moment, a predominantly DirectX 9 game. Whether Bethesda will release full DirectX 11 support plus associated texture packs remains to be seen.